​Your Wedding Day is the most important day of your life and also the most stressful! There is so much to do when planning a wedding from ordering invitations to picking out a venue to finding the perfect dress. Wedding planning can be very stressful especially when you need to stick to a budget but want the best of everything. There are certain wedding vendors you need to make your big day a success. If you are planning a budget wedding we can definitely give you ideas on ways to save. This is your BIG DAY and you need to make sure you hire the right vendors based on your budget and needs! Picking the right person to officiate your wedding can be a difficult decision. You need someone that will work with you to make your dream wedding a reality. The best place to start is to find someone from your place of worship whether that be a temple, synagogue, church or mosque. You can also hire a non-denominational officiant if you would like a non-religious ceremony. 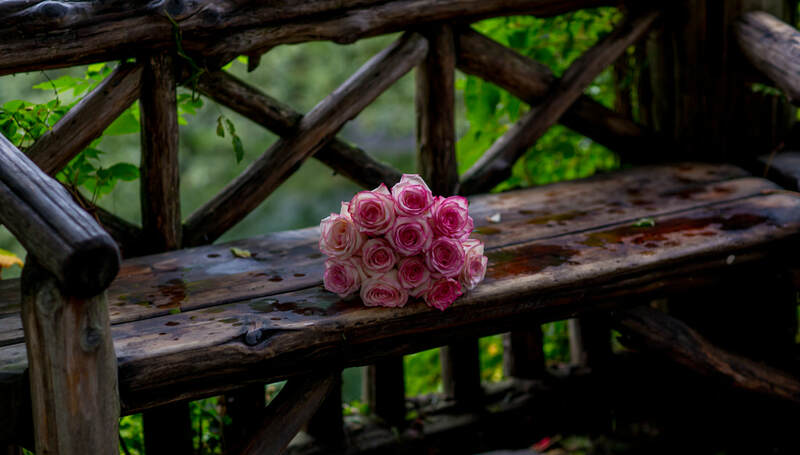 If you do not have an officiant in mind you can have someone close to both you and your soon to be spouse officiate the wedding like a family member or friend - they would however have to become ordained to perform the ceremony and this would add a very personal touch to your wedding! Make sure that whomever you choose understands what type of wedding you would like and what you would want said during the ceremony. It's a must to meet with the officiant prior to the wedding to discuss details. 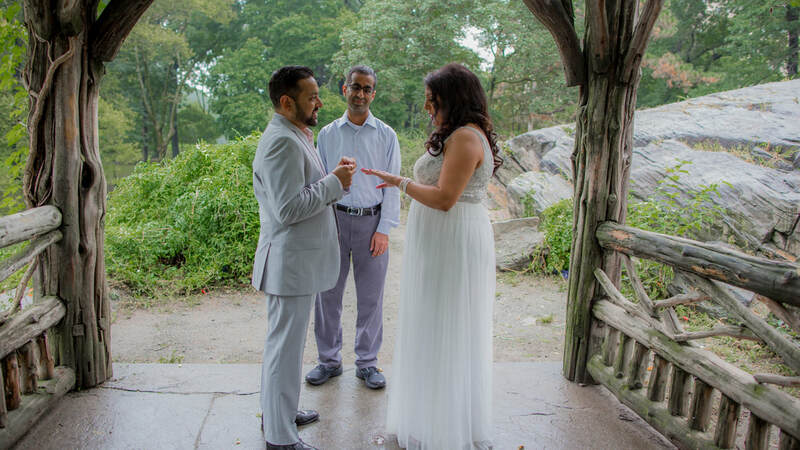 You will also need to know if they are registered with your local government as a marriage officiant, which means they can sign and return the Marriage License to the City Clerk for you or if you will have to do it yourselves. Tip: Asking a friend or family member to officiate the wedding can be a more cost-effective route. Planning a wedding can be very cumbersome. There are so many details--Number of Guests, Venue, Favors, Seating Charts, Music and the list goes on. You can spend months planning your dream wedding while stressing out about all of the details. One way to deal with wedding planning is to hire a Wedding Planner - this person will provide ideas on where, when and how to have your dream wedding. They definitely take the stress off of you so you can focus on other things like the wedding outfits and Honeymoon. If you want to be involved in all aspects of your wedding you can hire a "Day of Wedding Coordinator", this person works with you a few weeks prior to the wedding to ensure that you are fully prepared for the day and they coordinate all the activities on the big day so that you can relax. The Coordinator will take care of any emergencies that arise ensuring that you will have a smooth wedding as you had initially planned. You need to choose the best option for you and your soon to be spouse based on time and budget! Tip: Planning your own wedding is the most cost-effective route. Ask friends and family to help with day of activities. Looking beautiful on your Big Day is one of the most important things. You are walking down the aisle to meet your true love and you want to make sure to look your best. You can scrimp on a lot of things but make sure to hire the best make-up artist you can fit within your budget. We recommend finding a makeup artist that specializes in Wedding Make-Up like JFink Beauty, and doing a makeup trial with them to see what you would look like on your big day - this is also the time to let them know if you want a glamorous or natural look. Make sure to hire someone you like and check out their work prior to meeting them. If you want to look your best hire someone that will help you look your best on your Big Day! Tip: Check out the Make-Up Artist's Instagram to see recent work and comments. Be sure to read reviews online as well. Having a beautiful hair style for your Big Day is just as important as having your make-up professionally done. You will need to decide what style you would like for your Wedding Day. We recommend finding a hair stylist that specializes in Weddings like Sue Natale the Stylist. A good stylist will advise you on what style would look best on you and what would look good with your wedding dress. We advise on scheduling a trial with the hair stylist so you can both determine the best look. Many people add hair pieces or extensions to have fuller looking or longer hair - we love extensions by HAIRDO, they carry all hair colors and lengths. If you do decide to add clip-on extensions make sure that your stylist is familiar with how to incorporate them. Your Wedding pictures hold memories that you will cherish forever. You need to make sure to hire the best videographer and photographer within your budget. The best way to do that is to ask for referrals from others that have recently had a wedding or find a photographer that specializes in Wedding Photography like Katherine Filaseta. You should also find a skilled videographer that specializes in Weddings. The best thing to do is to look at other videos that they have created previously to determine what type of style you would like for your own wedding video. The food is always discussed at weddings - whether it's good or bad it's always the topic of conversation. If you are doing a wedding at a hotel your job is done as most hotels do not allow outside catering. 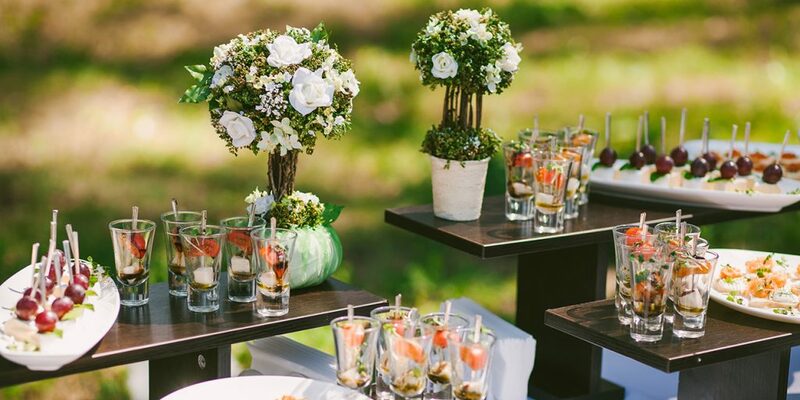 If you are doing a wedding at a rented space you will have to hire a caterer. It's best to do your research and choose a caterer that will custom craft a menu that you and your fiance will love. You want options of appetizers and entrees that can accomodate all dietary needs like Vegans, Vegetarians and Non-Vegetarians. Make sure to let the caterer know how many of each there are so they can plan accordingly. Make sure to schedule a tasting well in advance of the wedding. The Wedding Cake is one of the highlights of your Big Day. Choosing the right cake flavor and design is the tough part- there are too many options! With the Internet you can see thousands of designs which can confuse you and your partner. The best way to start with finding the perfect cake is to choose a Bakery that you both like and schedule a tasting. Choose flavors that you both love but not too out of the box. Vanilla, Chocolate and Strawberry are your best bets as most people enjoy those flavors. Next determine how many people are attending the wedding and how many are likely to enjoy the cake. Keep in mind Vegetarians and Vegans do not eat products containing eggs. The number of tiers for your cake is based on the number of guests who you believe will be eating the cake. When thinking about the design of the cake incorporate the color theme for your wedding. Although many choose to do a traditional white wedding cake, we find the most stunning wedding cakes usually have a color flair that tied it into the rest of the decor. You can decorate the cake with flowers, animals, lace - the possibilities are endless unfortunately your wallet is not - so make sure you find a design that fits your budget! Music brings the party to life - that's why you need to hire a DJ that knows how to get the party started and keep it going! It's best to do your research or get recommendations from friends and family on DJs. Once you have selected the DJ, discuss what types of music you want to play during your Reception. You can also provide a list to the DJ of your favorite songs so they can play those specific songs and have an idea to what kind of music to play. If you are having a First Dance or a Father/Daughter Dance make sure to provide the songs you have chosen. If you want to enter the Reception hall with your new spouse and make an entrance you can choose a song to play. Remember to play a variety of songs that will keep the party going and your guests entertained. You can also have your DJ announce your arrival to the Reception and get everyone's attention for speeches. It's best to create a timeline for the DJ to follow so that everyone is on the same page. Tip: Pick a song for your first dance that is memorable for both of you.